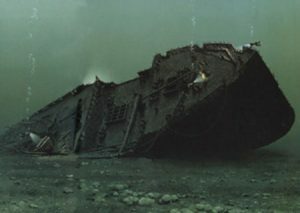 The Empress of Ireland was one of the greatest Marine Disasters and was virtually unknown as it occurred on the brink of the First World War. 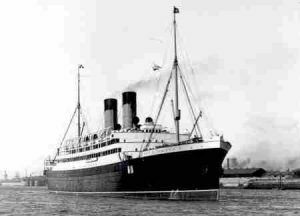 It had a higher death tole than the famed Titanic which sank 2 years earlier and received all the media coverage. This lavish ship was made for the Canadian Pacific Railway Co. in 1906 by the Fairfield Shipbuilding and Engineering Co. of Glasgow and was one of the Largest Passenger Steamships operating at that time. The Empress was a luxury passenger ship that offered 570 feet of elegance and first class luxuries. Teak decking, gold trimmed plates, first class dining, 1st class music room where a 5 piece stringed orchestra would perform and spacious sleeping quarters, the Empress was a beautiful ship. On May 29th the Empress left Quebec with 1477 people aboard and traveled down the St. Lawrence Seaway where it was caught in a heavy fog. While approaching the mouth of the river in the evening a spotter on lookout spotted a ship rapidly approaching the Empress on the starboard side……..The Storstad. The Storstad had taken action to pass the Empress port to port but instead ran the ship directly across the path of the Empress and Collided with the Empress on the starboard side bow area. The Engine Room flooded within minutes with the brackish seawater which shorted out the ships engines, water tight doors and the electricity. The Empress was only able to get one S.O.S message out before they lost power. The Empress sank in 14 minutes as it listed to the starboard side which was taking in water from the blow, as well as the large number of port holes that were open on this surprisingly stuffy day. The Empress crashed onto it’s starboard side throwing hundreds of clinging passengers to their death below the icy waters of the St. Lawrence. The Empress only managed to deploy 5 of 40 of it’s lifeboats and rescue attempts were futile, as 1012 people perished in this gruesome tragedy. Today the Empress sits in it’s permanent home in the St. Lawrence 2 miles off shore of the small town of St. Luce, Quebec in a depth ranging from 80fsw-140fsw. Though a relatively shallow dive, the Empress is one of the most challenging dives in the world due to it’s unpredictible and ever changing currents which range from none existent to fast and furious. Low visibility, darkness, frigid cold water and navigational hazards both inside and outside of the wreck are just some of the modifiers a diver has to deal with. The Empress is a more challenging dive than the famed Andrea Doria which lays 100fsw deeper in warmer, clearer water and doesn’t always resemble a ship in certain parts due to the corrosion of the metal, silt and vegetation. The Empress has claimed the lives of many divers who have not had the experience, skill or training to safely dive this site. Many divers have barely survived accidents on the wreck (getting lost inside, blown off from the current, panic attacks, decompression injuries, air embolisms and much more). The Empress is not for the new or beginner diver, but rather, for the most experienced wreck and technical diver. 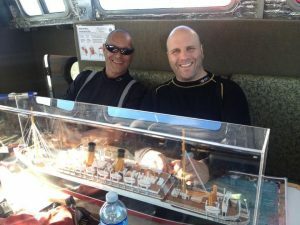 Dan’s Dive Shop/Divers Edge offers an annual Empress Expedition where we take an elite group of our top divers up to Quebec for a fantastic diving experience they will never forget. To the right, you can view an illustration that will show you how the Empress looks today. To properly gain a feel the visibility you may wish to place your hand over the wreck and move it to the left unveiling the wreck one bit at a time. The Empress offers some of the most challenging and rewarding wreck penetrations (not to be attempted without proper training, experience and equipment). The ships name is still visible on the bow and even for the diver who just wishes to swim around the wreck or touch it it will remain in your heart forever. Join us on our Annual Empress of Ireland Expedition this summer. Email the store for further details email us. 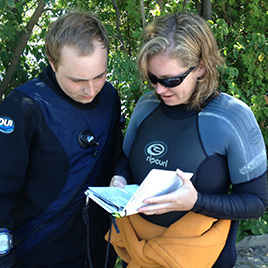 Divers must possess proper equipment, experience and certifications in wreck and technical diving. 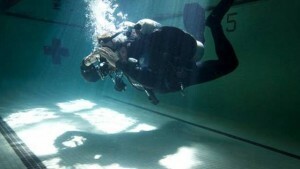 Divers will be required to make a pre-qualification dive under Matt Mandziuk’s Direct Supervision prior to this trip. 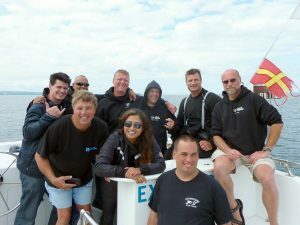 Please check out our Technical Diving Training Schedule on our Technical Courses page for course particulars. To dive the Empress divers need to be certified Technical Decompression Divers and Technical Wreck Penetration divers for those venturing inside this challenging wreck. To learn more about this amazing wreck you can now purchase the latest book from historian and author Ian Kinder “A Tale of Two Sisters, the History of the Atlantic Empresses” now available from Dan’s Dive Shop, Inc. Check the online store and order yours today.